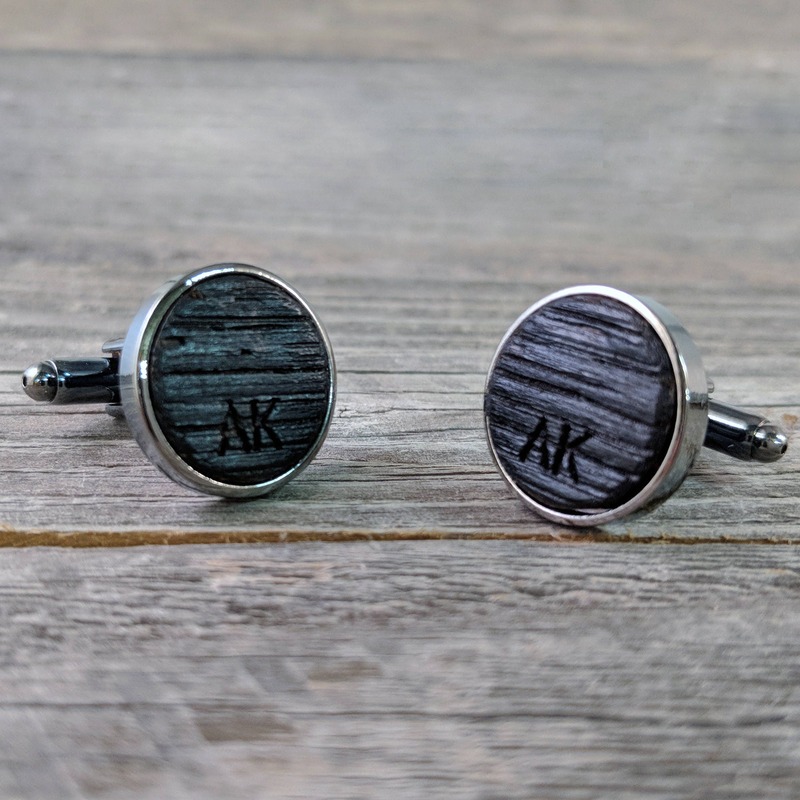 PERSONALIZE WITH THE INITIALS OF YOUR CHOICE! 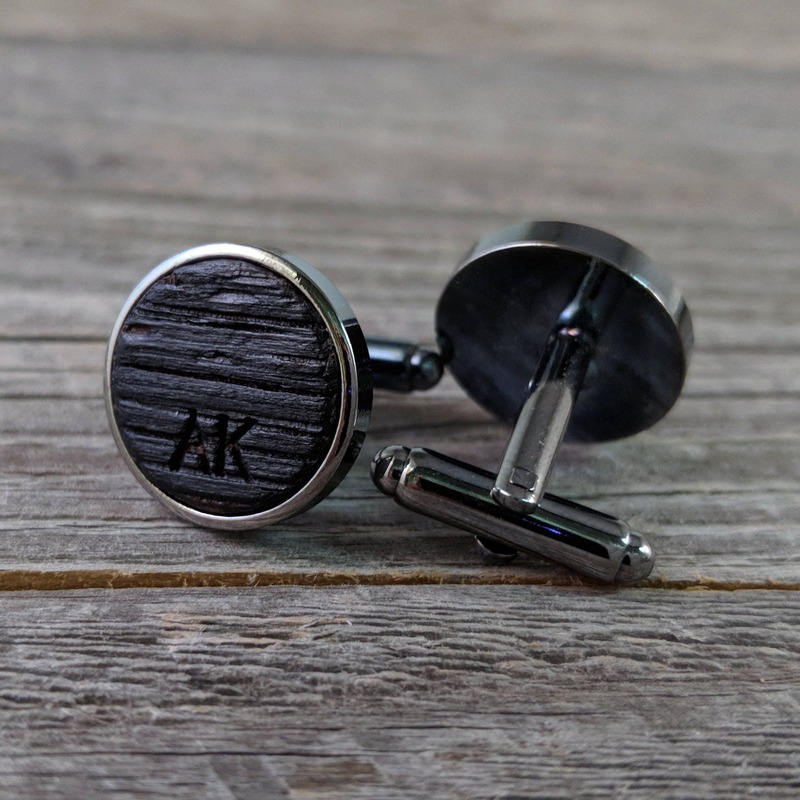 Please enter the desired initials in the notes to seller box during checkout along with any special considerations that I should keep in mind. 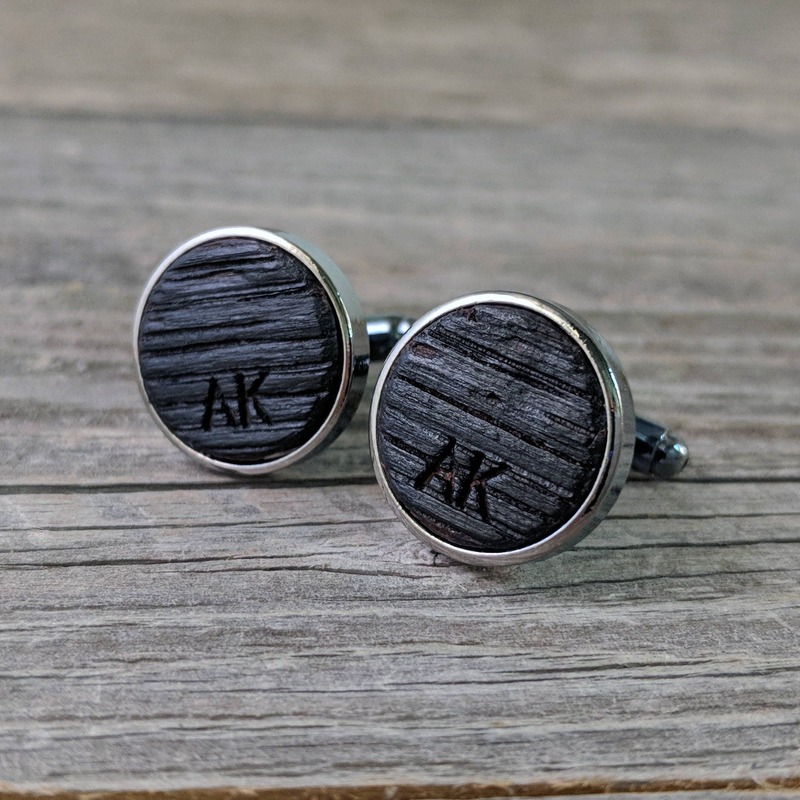 Each pair of these awesomely manly cufflinks is made one pair at a time by me, by hand, in my home shop. Because woods vary greatly in color, figure, and texture, yours will be unique. They measure just about 1/2" in diameter. 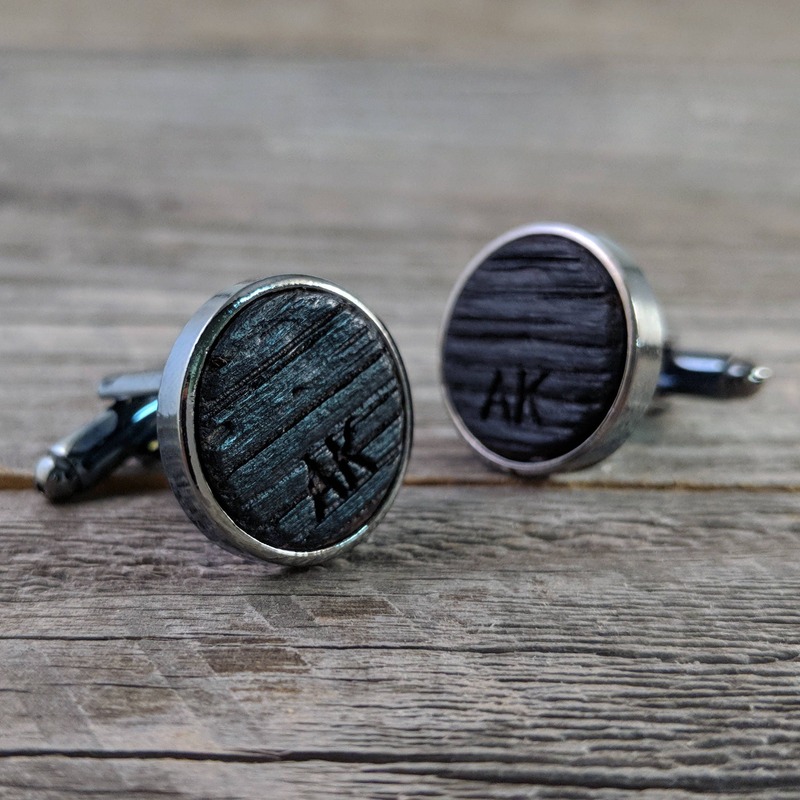 These cufflinks are crafted from a White Oak stave from a Jack Daniel's® whiskey barrel. The hand-charred barrel interior is on prominent display, left in its raw, natural state just as it was inside of the whiskey barrel.